Are you a fan of college football? If you're in the Kansas City metro, there's a good chance you are. We know many of our readers and fans follow their beloved Kansas Jayhawks and we're so excited to bring you a fun family friendly giveaway, complete with a FREE 4 pack of tickets to a KU football single season game, and much more! KU football brings families a unique opportunity to experience sports and the camaraderie of community and family, all in one place! From the tailgaiting experience to HyVee family friendly Hawk Zone at the stadium, enjoying Kansas football has never been more fun. Best of all, you can bring the kids to visit the Hy-Vee Hawk Zone up to two and a half hours before kick-off all the way up until the end of the first quarter of the game. And did you know that even the littlest Jayhawks have access to an exclusive club of their own? 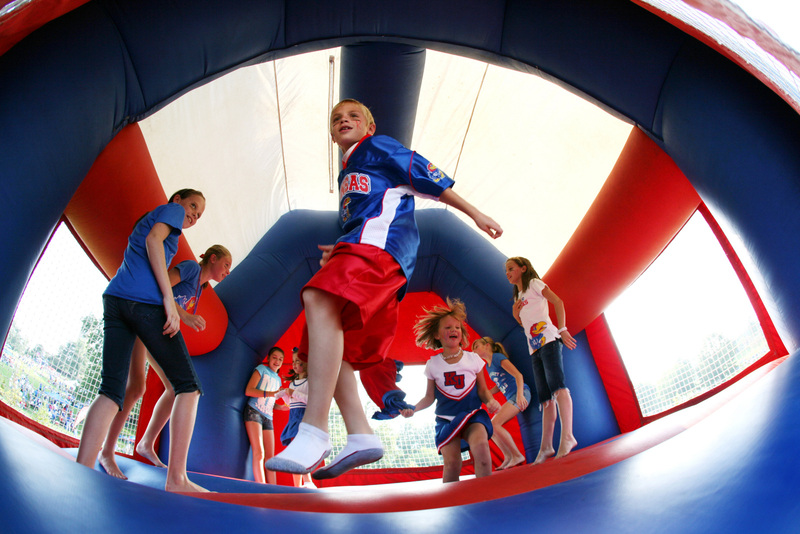 The KU Junior Jayhawk Kids Club is the official kids club of Kansas Athletics for all kids ages 13 and under. Membership is only $45/year and comes with some exciting member perks like admission to KU athletic events, fun “members only” events, and special KU gear! The KU Junior Jayhawks Kids Club is a fantastic gift idea for those little ones who love to sport the crimson and blue. 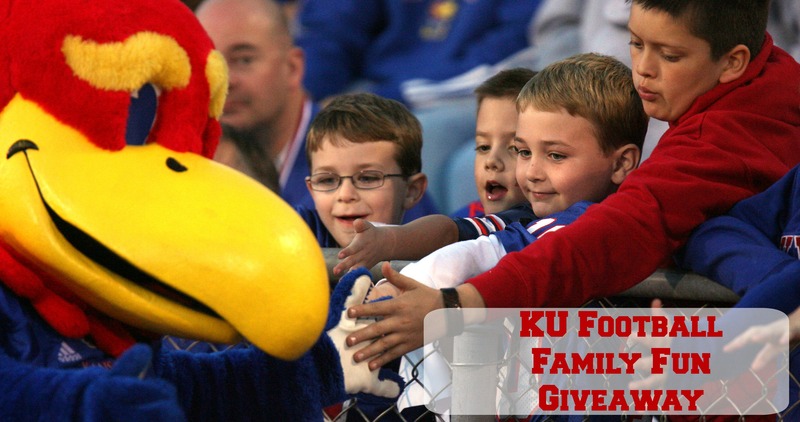 WIN a KU Jayhawk Family Fun Prize Pack! We would love to attend a football game! Nachos is the best football food!! What a great deal!!! Rock Chalk, baby!!! And, we love hot dogs at the game!!! Oohhh....Kids would LOVE this! How fun to take them to a game!! My fav part of Football is the tailgating! We try to get creative every time based on who we're playing. I love grilled food!